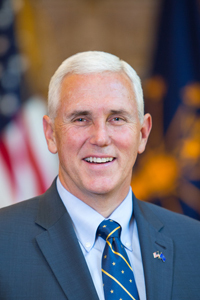 Governor Mike Pence today offered the following statement regarding Indiana Attorney General Greg Zoeller’s decision to enter Indiana into a lawsuit challenging the Environmental Protection Agency’s final “Waters of the United States” rule. In November of 2014, Governor Pence and Lt. Governor Sue Ellspermann, as well as the Indiana Department of Environmental Management and the Indiana State Department of Agriculture, sent letters to the EPA and the U.S. Army Corps of Engineers urging them to withdraw the proposed rule that redefines “Waters of the United States” protected under the Clean Water Act.